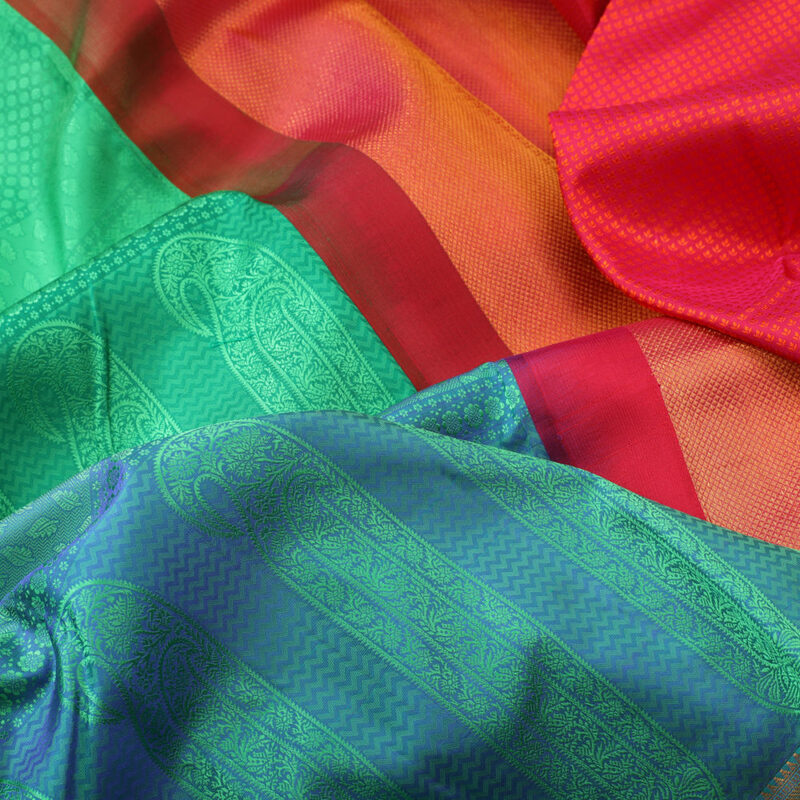 The body consists of three shades: light green, bottle green and royal blue. 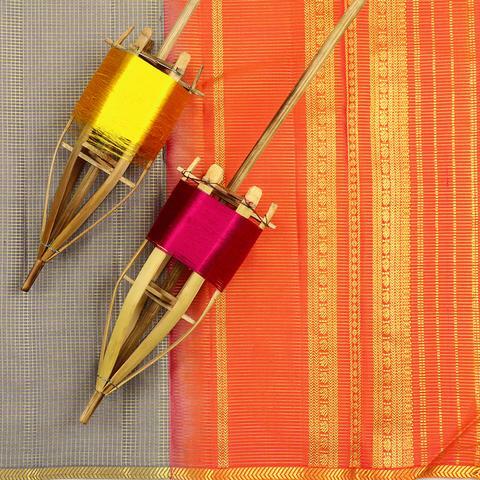 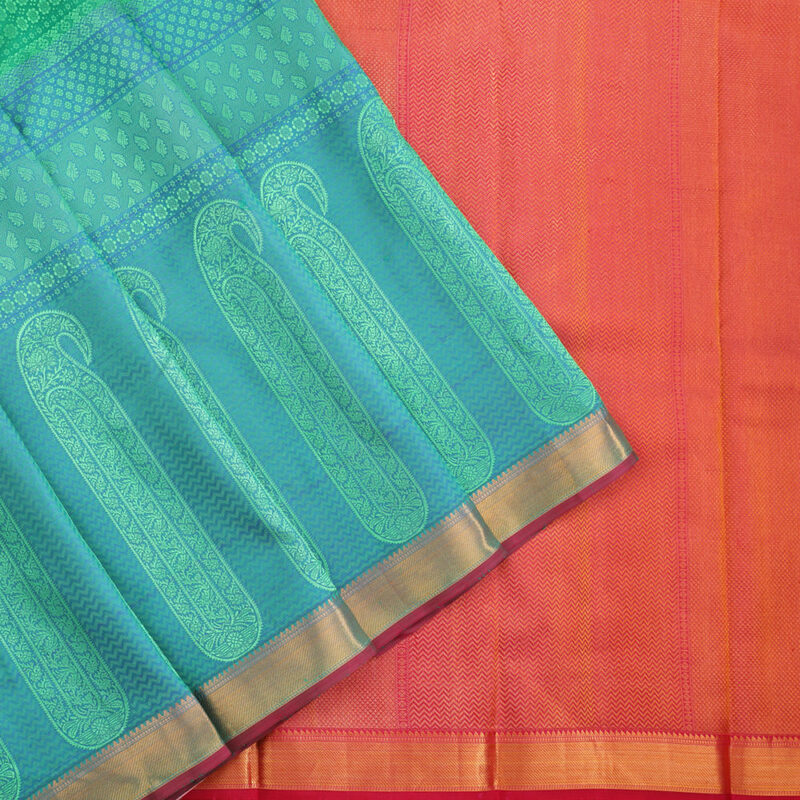 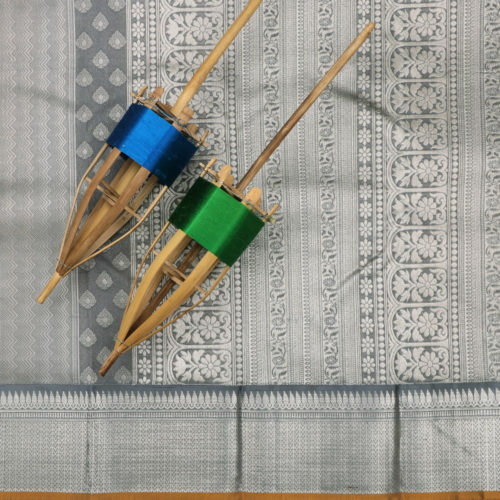 Upon the body of the saree lie three rows of mangoes in intricate patterns that gradually increase in size. 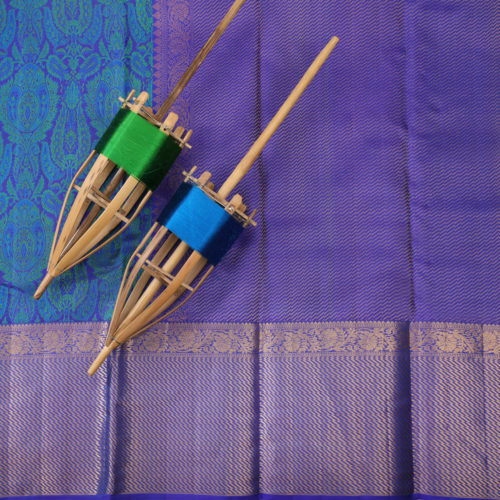 It is bordered by a thin golden zari and is outlined by a purple selvedge. 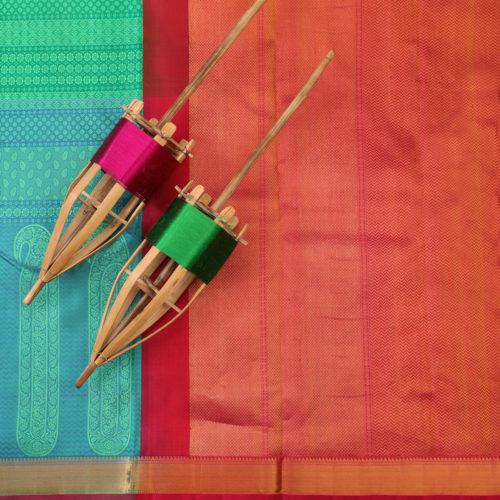 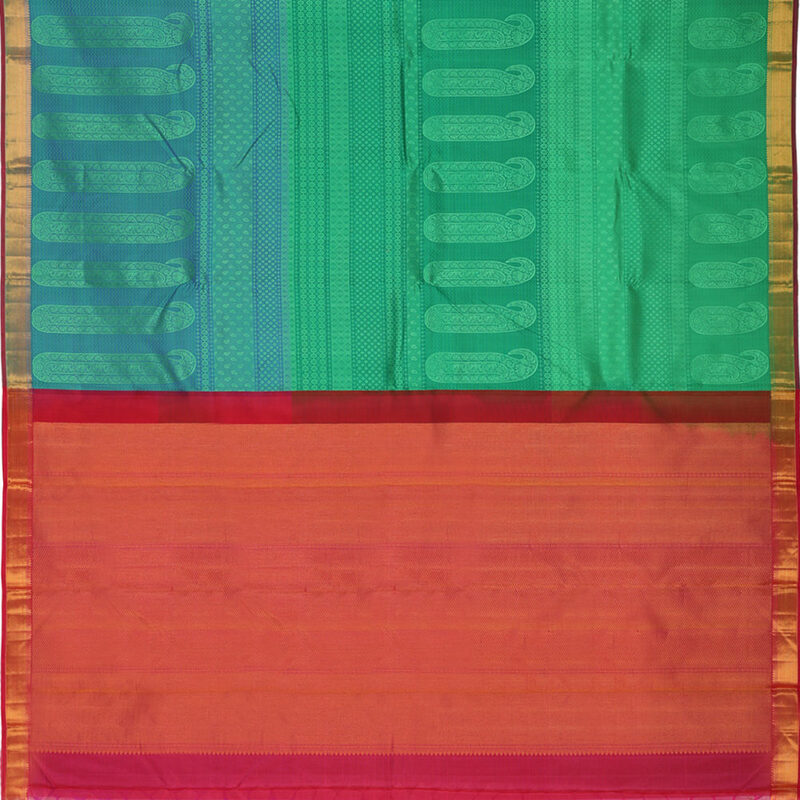 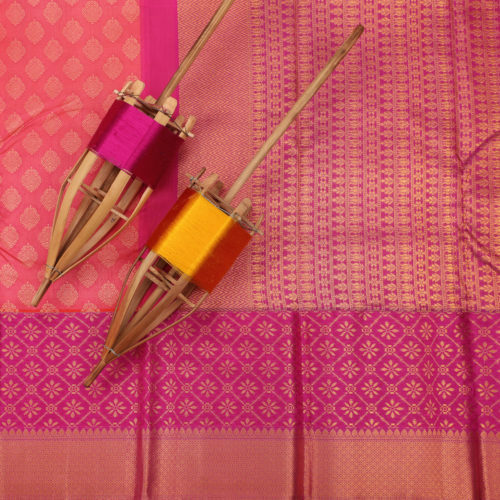 The gorgeous pink pallu is spread with rich zari across its length. 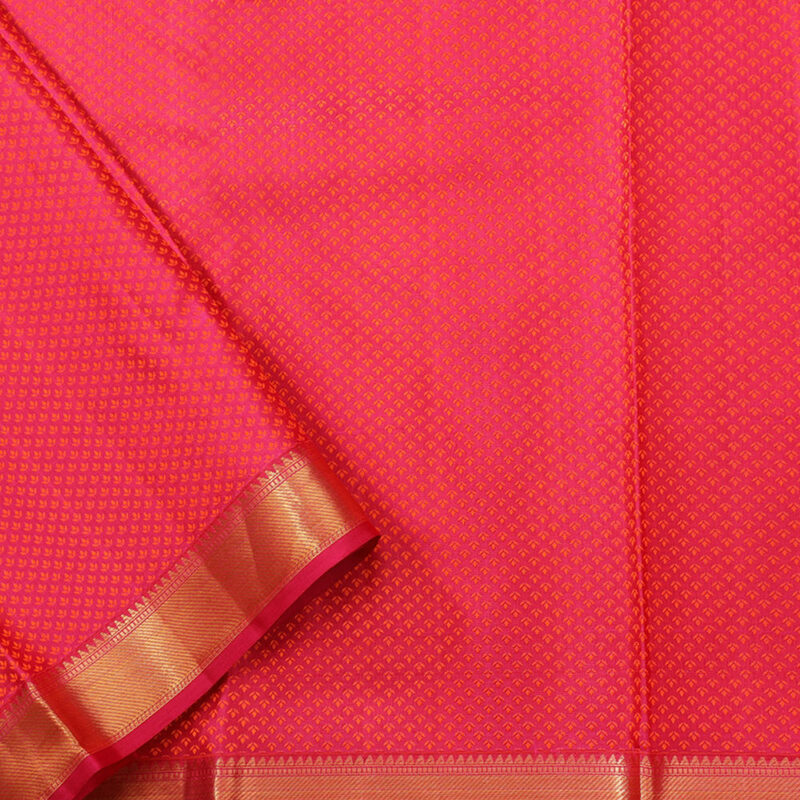 The saree is accompanied by an orange-shot-pink jacquard patterned blouse.